The rumours of Audi entering Formula 1 have been doing the rounds for quite a while. The fact that sister company Porsche made its sportscar racing comeback by returning to Le Mans also seemed a harbinger of change to the Volkswagen Group's motorsport endeavours. Now it is being reported that Audi is set to bow out of sportscar racing, abandoning its Le Mans operations and stepping out of the DTM, and instead has set its sights on Formula 1. Porsche will, of course, continue in Le Mans. Now the reasons for this sudden shift appear manifold. It has been reported that there is internal pressure within the Volkswagen Group, urging Audi to leave sportscar racing to Porsche and instead pursue the single seater path. There have also been rumours that Audi have been developing a 1.6-litre engine for possible F1 application for a long time. However, it is unlikely that they will make their F1 debut as a group up, in-house operation, choosing instead to buy out an existing Formula 1 team. The teams that appear to be likely candidates at the moment are Red Bull Racing and Toro Rosso. 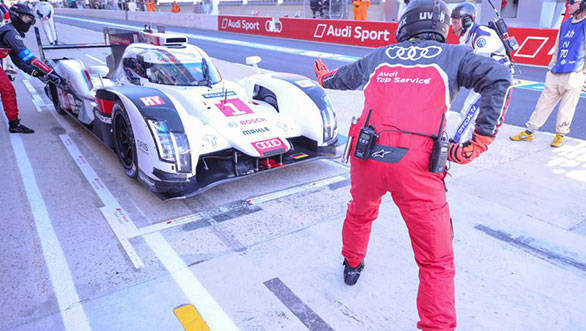 Another factor that could indicate that Audi will indeed make it to Formula 1 in 2016 is the fact that Stefano Dominicalli, former team principle of Ferrari, has recently been hired by the Wolfsburg-based manufacturer. And with Fernando Alonso's future undecided, we could well see Alonso racing for Audi in the near future in Formula 1. Alonso last won a world championship in 2006, with Renault. The subsequent years with McLaren, Renault again and Ferrari, have been disappointing for the double world champion. Currently there has been no official communication from Audi about their F1 plans. We're still not sure whether there is truth to these rumours because of two reasons. While Audi and Porsche are certainly rivals at Le Mans, despite having the same parent company, they each feature very different powertrains in the championship. Besides, the Volkswagen Group has claimed thus far that the in-house rivalry is good for them. We're willing to wait and watch - Audi and Auto Union's history when it comes to single seater racing pre-war, is something worth recreating.